Impossible is just another cop out: 30 years from now, who will believe that we never had a chance to save nature? Lions, tigers, and pangolins, those dream-like creatures that hardly seem real and are daily becoming less so as they find themselves trafficked into extinction. 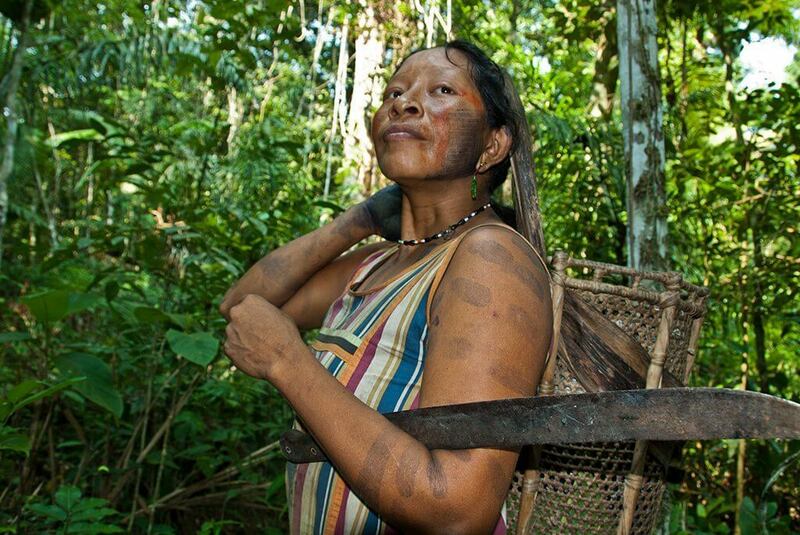 The Amazon, India, and seventy dozen other landscapes that make possible a fitful coexistence between humans and the eight million species with which we share the planet. A documentary to halt mining in the tundra, a man infiltrating illegal wildlife trafficking networks in Asia, 30 villages fighting off illegal logging in a last-ditch effort to preserve an ancient culture and the rainforest upon which it depends. All this life, all these places, all this activity, and more, under the darkening shadow of the hardest deadline humanity has ever faced: 2050. Borneo’s forests are home to one of the world’s remaining pangolin population. 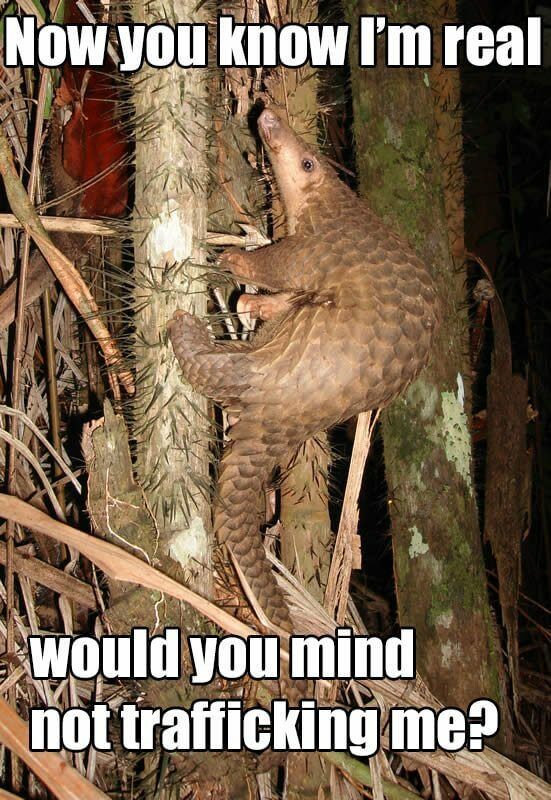 Pangolins are the most illegally trafficked animals in the world. You read that right. We’ve got 30 years: 30 years to save the pangolins and the rhinos and the polar bears; 30 years to sort out how we share the land with the web of life that efficiently manufactures all the things we need most; 30 years to do what we’ve never done before, that is, transform the way seven billion people relate to nature. And let’s not kid ourselves here, the “we” in this equation is an escape hatch because “we” doesn’t really exist. It’s a cheap trick to shirk responsibility, an adult form of make-believe that encourages the dead-end status quo. “We” is what we say when we haven’t fully committed to the obvious next step. “We” is gutless. “We” is for wimps. If we were truly committed, we’d start owning the problem. We’d start saying “I” instead of “we.” We’d ask ourselves, “How can I share the planet with elephants and the tuna and the migratory birds who are dying to the habitat loss that is feeding my family?” We’d ask ourselves, “How can I transform my relationship with nature?” Can you? Can I? Because when I say “we,” I mean I. I mean you. The problem with saying “I” is that it makes everything seem so damn impossible and, if we’re being honest, a little bit crazy. “Here I come to save the day!” isn’t done. It isn’t even thought. At least not by sane people over the age of 12. The reason for this is that we’ve told ourselves in this rational age (paradoxically filled with some of the most irrational acts against people and nature) that being realistic is at odds with being a hero. Too frequently, we allow adulthood to strip us of our capacity to think and act big. But if we never dare to think big and if we don’t liberate ourselves to take on the good fight, no matter the odds, how can we ever hope to solve the biggest problems we have ever faced? 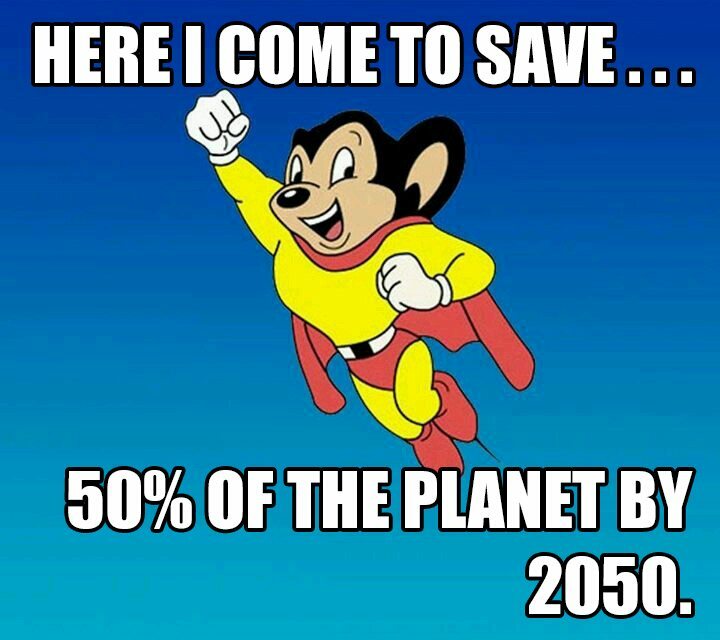 For me, it’s a multi-stage process that starts with “I.” I will protect 50% of the planet by 2050. That feeling of dread I’m experiencing right now, of powerlessness, of sheer terror – that feeling, it’s okay. It’s a necessary part of the process. Because no one can do that. Not by themselves. Especially not me. It’s okay to be afraid. It’s just not okay to stop there. Right, so, next step: enlist some help. I know! I’ll find friends, partners, allies, people from different walks of life who can agree on at least one thing: we need nature, let’s protect it! Then maybe we can identify some easy opportunities and settle on some common objectives, maybe a timeline. It doesn’t have to be big (although it can be!) – it can start in a region, a state, or even a city. How can I protect nature here? How can we? Back when WILD started Nature Needs Half in 2009, we were told that we were thinking too big by some of the very people charged with protecting nature at an international-scale. We were told that a 50% target would make us – would make them – a laughing stock. We were told that little organizations were not fit to chase big visions. But the reality is, WILD wasn’t chasing anything. We were taking; taking responsibility for a big problem and doing what was necessary to figure out a solution. Now, Nature Needs Half is a tangible effort, a global ground game in motion, starting with a pilot region in India to be launched this December with the goal of encouraging and supporting Indian leaders in taking their country from five to 40% protected in the next 30 years. Sanctuary Asia, WILD’s long-time partner, is the spear point of this necessary endeavor, and is taking responsibility for pulling together the necessary coalition that will coordinate society-wide action for benefit of people and the wild places upon which we depend. Because it will take a we to accomplish what I want to change. Because “we” is what happens when a bunch of “I’s” consciously work together. 30 years from now, if the oceans have been depleted of fish and the aquifers have been depleted of water and the wildlands have been depleted of animals, no one is going to accept the excuse that there was nothing I could do. They will probably wonder, with disappointment and regret, why I didn’t reach into myself, harness my potential, and grow into the person I needed to be to do the things required of me. They will shake their heads and ask themselves what I could have possibly prioritized over the opportunity of a lifetime to do something truly great. And I will nod in agreement and ask the same of them. But that’s not gonna happen. Not on my watch. Not on your watch. And not while Nature Needs Half continues to expand its reach and mobilize more and more regions into coordinated action for the defense of nature and the life that depends upon its survival. Because together, we have drawn a single conclusion. Together, we know, that I have hope. 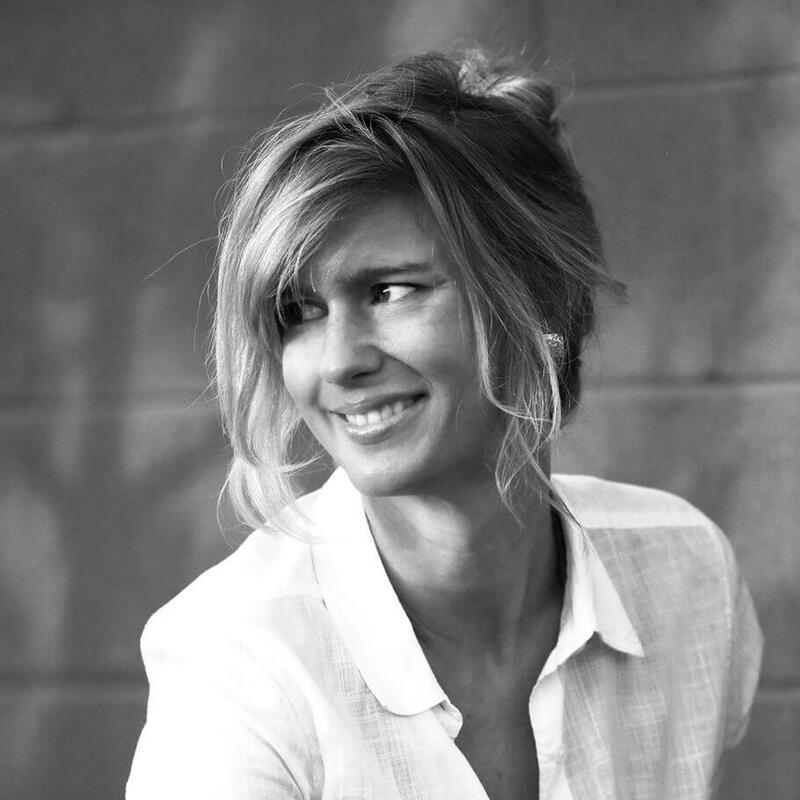 Utilizing the power of strategic communications and storytelling, Amy Lewis designs solutions that expand and intensify actions for the benefit of nature. She is the chief communication and development officer for the WILD Foundation, and has committed herself to the global endeavor to defend nature and restore a healthy and respectful relationship between man and nature. Nature Needs Half and life on Earth needs and is inextricably nature. Continuing to extract, develop, and destroy nature is akin to chopping off our hair with escalating consequence. Over time there is no more to trim. Best to begin today to respect nature (read ourselves) so there will be a tomorrow for our kids. One question for you, where did you get the 30 year mark? Thanks. Thank you for the kind words! I’m in total agreement. The 30 year mark relates to 2050. There’s a growing consensus that if we act now, and I mean really act, we can end the biodiversity crisis and save at least 80% of life on Earth (FYI, the Nature Needs Half goal is 100% – many will say that’s impossible . . . but, well, I guess you know my thoughts on impossible already).